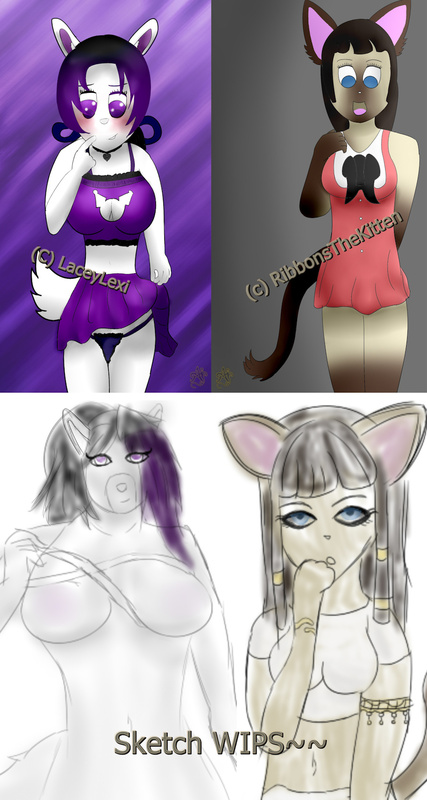 The top two where finished like.. a month, maybe even 2, right after my vacation, I just really quickly worked on that along with the refsheet but really wanted to make the 2nd (bottom) special and got an art block ish thing, so finally got back to it! Aaand since a verry special someone, a.k.a. Senpai, >> LunaSeleneWolfe >.<~ was being a frikking kind sweety pea and cought me by surprice in something I felt like I needed to upload some of my art.